I had an interesting discussion on Facebook recently, about what Pākehā is. This arose in response to a post I shared about the wish to have Pākehā added back into the census ethnicity options. I am not Māori, I am not a European New Zealander: I am a member of the other half of Te Tiriti O Waitangi New Zealand partnership: Pākehā. Other. Not Māori. I am not 'European': my race is human, not Caucasian; my influences are those of the South Pacific in general, and Aotearoa in particular. I was born here. My great-grandfather arrived on the Hauroto into Ōtepoti. I am Tangata Pākehā. These ragged hills cloaked by fragrant bush in shades of green and brown call to me, pulling me back to this land from journeys. Aotearoa sustains me, nurtures me, and returns me to peace at the going down of the sun. Aotearoa is both my identity and turangawaewae. While I have English, Scots, Irish and Portuguese heritage, the place where I stand is Te Tau Ihu o Te Wai Pounamu. I am not tauiwi - a foreigner - due to the longer roots my ancestors grew over more than 120 years into the Ōtepoti stern post of Te Waka o Maui. As Chris Cately said "I have always taken it for granted that I am a New Zealander who belongs, fully, to nowhere else on earth. What else could I be?" (King, 1991, p. 37). What surprised me with my facebook post were the comments of friends who were born in Europe, but who feel Pākehā. They were disturbed about the implication that there is a division between 'born' and 'made'... and how that related to their own sense of identity. Is birth a barrier to being Pākehā? Should there be a barrier? I looked to two of our seminal writers on the nature of Pākehā are Michael King and Paul Spoonley: a historian journalist, and an activist academic for guidance. King says that Pākehā are from "predominantly European descent [...] a descriptive word applied to people that derive originally [...] from the United Kingdom". He explains that Pākehā "is an indigenous New Zealand expression that denotes things that belongs to New Zealand via one major stream of its heritage, things that are not Polynesian", then clarifies that Pākehā are Britons who "derive from abroad but which, through the tranformation of history and experience [...] are now unlike their sources and antecedents" (1985, p. 17; 1991, p. 19). Suggesting that those who who are "one, two or even four or five generations removed from Europe" are European seems ridiculous (King, 1985, p. 15). This to me suggests 'born' over made. However, what is 'one generation'? I see it the American way: those who are born in the new country from parents without. Others will see this the English way, as those who were born elsewhere and have become naturalised. Their children are second generation. Unfortunately, Michael King's untimely death in 2004 means we can no longer ask him what his original intent was. However, he explains elsewhere that we arose from the UK but through change, we become of this place. 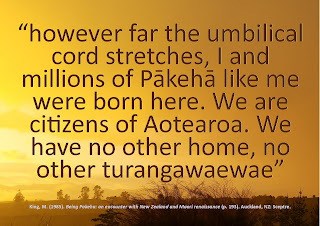 Being Pākehā emphasises "New Zealand-ness", and our connectedness to and affectedness by Māoritanga. 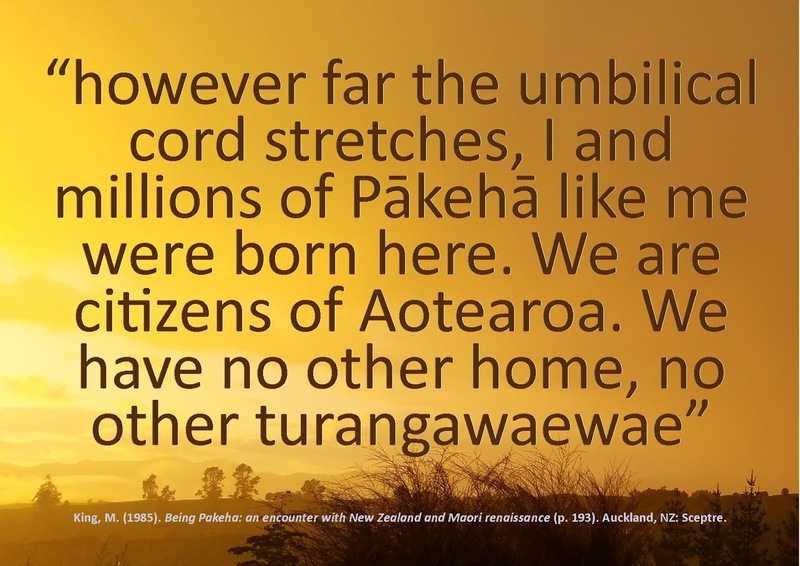 It seems that King's implication may be that you are born here, but, if strongly connected and affected by Tangata Whenua, perhaps it is possible that you may become Pākehā (1985). However, Spoonley seems to deny this possibility. He says "New Zealand-born people of 'European' descent I label as Pakeha - it is an appropriate term to mark those who are culturally of New Zealand and who are manifestly not 'European' much less 'Caucasian' " (1988, p. xiii). It is possible that being born in the South Pacific changes our viewpoint. I tend to align with Spoonley's 'born' view, but worry that this does not allow space for kindred spriti to 'join' us. King, M. (1985). Being Pakeha: an encounter with New Zealand and Maori renaissance. Auckland, NZ: Sceptre. King, M. (Ed.) (1991). Pakeha: The quest for identity in New Zealand. Auckland, NZ: Penguin Books. Spoonley, P. (1988). Racism and ethnicity. UK: Oxford University Press. Spoonley, P. (1994). Racism and ethnicity. In P. Spoonley, D. Pearson, & I. Shirley (Eds. 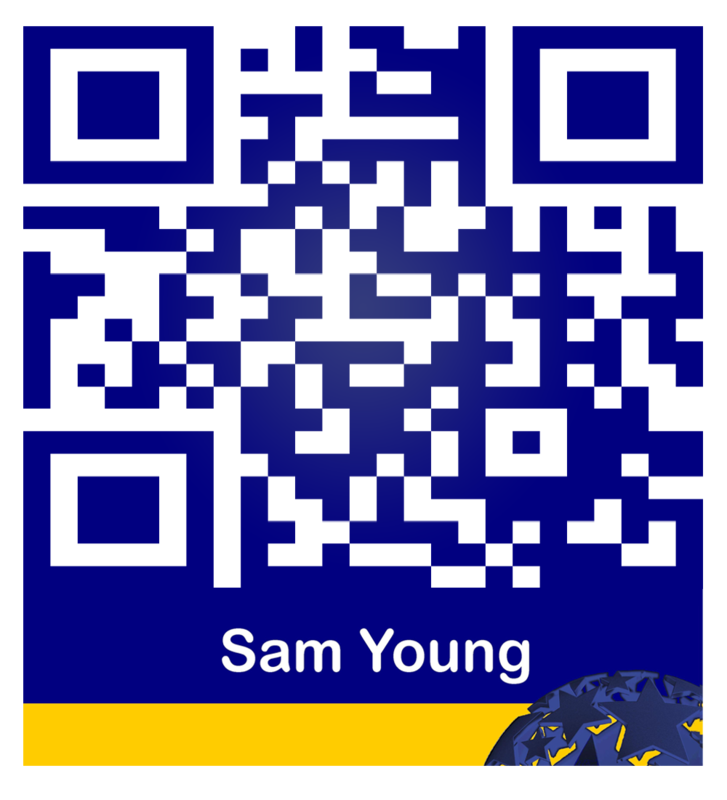 ), New Zealand Society. NZ: Dunmore Press (pp. 81-97).